“Wednesday, September 10.–At four o’clock this morning the rebel army began to move from our town "Frederick, Maryland," Jackson’s force taking the advance. The movement continued until eight o’clock p.m., occupying sixteen hours. The most liberal calculations could not give them more than 64,000 men. 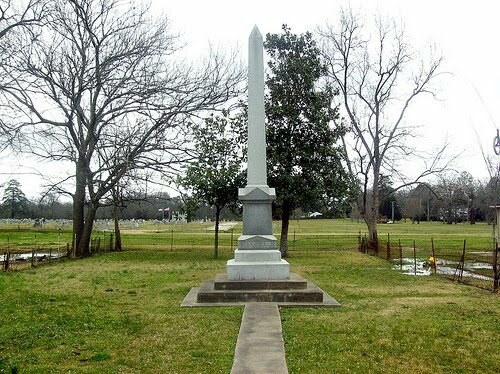 After the battle of Gettysburg in July 1863, ...reported among the rebel prisoners were seven blacks in Confederate uniforms fully armed as soldiers..."
The 21-foot high granite obelisk, stands in a residential area on Academy Street, E.
Harley Howcott reports that his Great-grandfather, W.H. Howcott, was only 15 years old when he joined Harvey's Scouts in 1864. Willis, his childhood playmate and friend, was only 13 but would not be dissuaded from being at his side. Willis was, tragically, killed in combat sometime in 1865 at the age of 14. 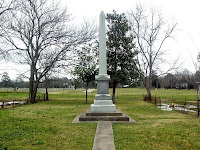 The monument was erected by his friend years after the war, after he had left Mississippi for New Orleans and made his fortune. The memory of the loss of his close friend never left him. That W.H. Howcott returned 31 years after Willis' death to erect a 21 foot tall monument to their friendship speaks volumes.